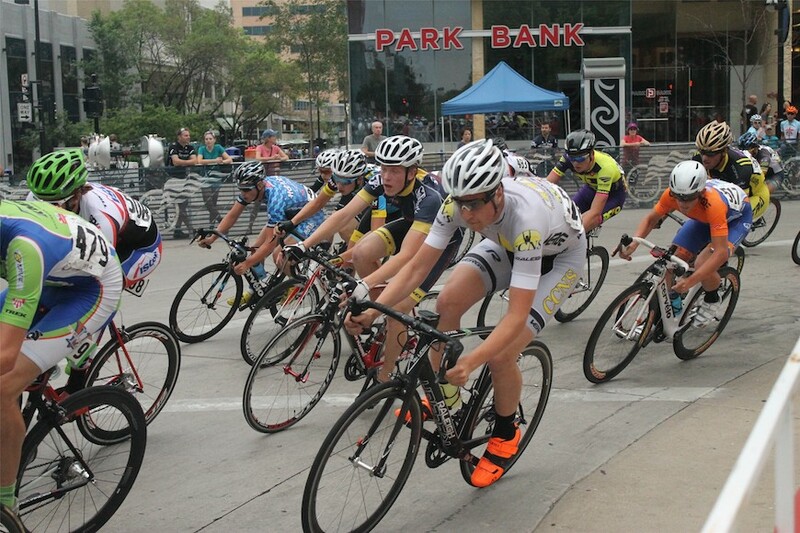 The USA Cycling National Criterium Championship took place this past Sunday in Madison, WI. After racing some of the most competitive criteriums in New England just a week before, the CCAP riders were confident and ready to compete at the national level. CCAP Junior Travel Team member Brian Suto recounts his race experience below. "After a stressful rush to the start line following staging, the race was off. My teammates Derek Cote, Ian Whaley and I immediately made our way toward the front and raced aggressively to stay there for the majority of the race. About 15 minutes in, a very threatening breakaway of about 7 or 8 riders went up the road. I saw the threat and made my way to the front, but some of the other teams saw the threat as well and panicked. Thankfully, after a few laps the move was reeled in. The high pace throughout our race prevented any significant breakaways from forming until about 10 laps to go, when Noah Granigan and Jake Silverberg were able to get away. Derek Cote worked hard at the front to try and organize a chase to bring the pair back, but those riders’ teams worked very well to cover counter attacks and it allowed them to stay away until the end. With the rest of us left to fight it out in a field sprint, Ian Whaley and I positioned ourselves well with only a few laps left. After making it past some of the last-lap carnage, we sprinted in for a solid finish, myself in 11th and Ian in 15th with Derek not far behind."